Carrie Schuckle has been busy since last November. That’s when she assumed her new position here as Chief Delivery Officer (CDO). She was made for the role, or perhaps more accurately, the role was made for her because it blends her nearly 20 years of experience and expertise in software development, consulting and project management with her natural ability to connect with people and anticipate their business needs. 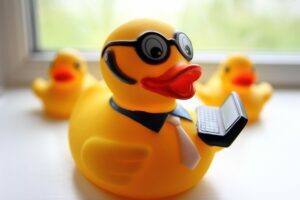 Do you ever get stuck on a coding problem and, to help figure it out, you begin talking to yourself, or to a rubber duck on your desk? Just me? Okay. Well, it’s unfortunate society associates self-talk with lunacy, because this underutilized problem-solving tool is excellent for debugging. The call from the West Coast came in to our Baltimore office on a Monday afternoon. The caller (we’ll call her Lois) was on Day 3 of a total system shutdown. She was officially in crisis. Lois’s firm – a 24/7 public records research firm that earns much of its revenue from online transactions – had gone offline. It’s a seller’s market when it comes to top IT talent. As enterprise technology has quickly occupied a larger and larger piece of the organizational asset pie, the technology recruiting scene has become more and more competitive. 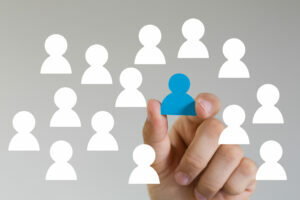 The Society for Human Resource Management released survey results last year that confirmed what we already know: the high tech sector is finding it significantly harder to find the qualified workers they need.